Poynette – Patricia A. Lanier, 74, of Poynette, passed away peacefully at Columbia Health Care Center on Wednesday, June 6, 2018. Patricia was born on October 21, 1943, in Oak Lawn, Illinois, the daughter of Samuel and Dorothy (Wheeler) Morgan. In March of 1975, Patricia married Joe Lanier in Chicago. Joe and Patricia moved from Chicago to Montello in 1995, where they shared a home on the Fox River. 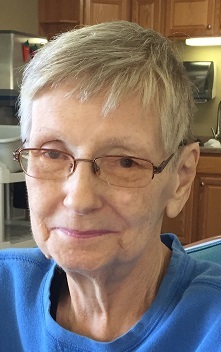 She worked in Advertising for many years at the Portage Daily Register. Patricia was a devoted wife, mother and grandmother who loved to cook and shop. She is survived by her son, Kevin (Jessica) Lanier of Poynette; step-sons, Joseph Lanier of Chicago, IL, Michael Lanier of Montello; grandchildren, Kaleb Busse of Madison, Cassandra, McKayla “Mikki” and Tommy Lanier, all of Poynette; Anthony Lanier of Minneapolis, MN, William (fiancé, Samantha Cooley) Lanier, Anna-Michelle Lanier and great-grandchildren, Sylis and Atticus, all of Winona, MN; sister, Margaret (Rick) of Lake Forest, IL; brother and sister-in-law, Richard (Mona) Lanier of Decatur, IL; other relatives and many friends. She was preceded in death by her parents; husband, Joe Lanier; and brother, Samuel Morgan. A memorial gathering will be held at Pflanz Mantey Mendrala Funeral Home in Poynette, Wisconsin, on Saturday, June 9, 2018, from 1:00 p.m. until 4:00 p.m. Private inurnment will be at a later date. The family would like to thank the staff at Columbia Health Care Center for their care and support. In lieu of flowers, memorials may be made to Columbia Health Care Center for the Willow Court Spa Fund.